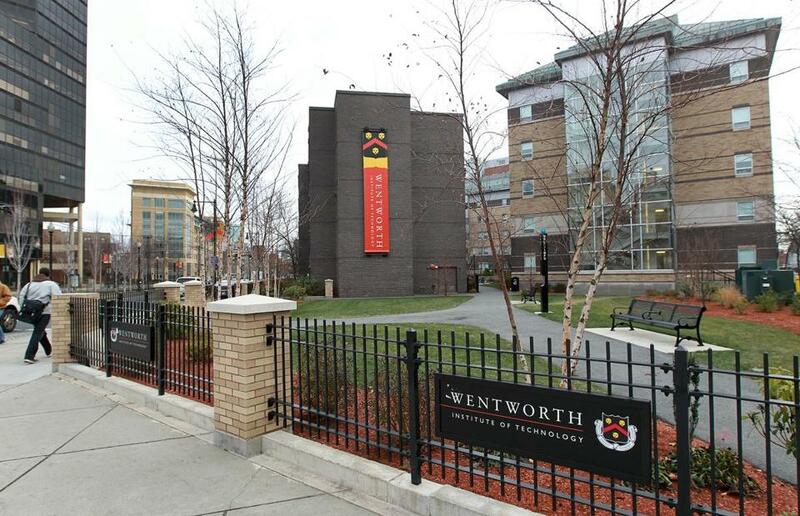 Enrollment grew by about 26 percent while spending on administrative salaries grew by about 109 percent at Wentworth Institute of Technology in Boston, between 2007 and 2016. At private colleges across New England, spending on administrative salaries and wages has grown more than twice as fast as student enrollment over the past decade, federal data show, as schools meet demand for more services and strive to compete for an increasingly small pool of high school graduates. The overall student population increased by 11 percent in the decade between 2007 and 2016, the most recent data available. But during that same period, spending on administrators grew by about 30 percent. In an era where many small private schools are increasingly unable to keep up with costs as a result of slowing tuition revenue growth, this disconnect between the rising payroll expenses and sluggish enrollment gains raises questions about the sustainability of their business model. “In general, spending even on the noninstructional parts of higher education tends to improve student outcomes, but it’s also to a point where the cost of educating a student is going up much faster than family income,” said Robert Kelchen, a Seton Hall professor who is an expert in higher education finance. The Globe reviewed data from 132 private four-year, nonprofit colleges and universities in New England. The list includes elite schools like Harvard with rich endowments, as well as smaller, more tuition-dependent colleges and specialty schools. The amply endowed schools aren’t in the same squeeze because they can partially fund operations with investment earnings. A Globe review of federal data shows that many small, private colleges in the region are struggling to meet expenses as their tuition revenue has declined. Spending on midlevel, nonacademic staff positions described as “academic support” and “student services” grew most dramatically: by 34 and 36 percent respectively. In some cases that growth represents pay increases and in other cases more staff. Meanwhile, many schools are experiencing enrollment decline or sluggish growth — a particular problem at the smallest schools because they depend heavily on tuition revenue and are under pressure not to raise prices too sharply. At some schools the increases in administrative spending have been substantial. At Worcester Polytechnic Institute, student enrollment grew by about 57 percent while spending on administrative salaries grew by about 151 percent, data show. At Regis College, enrollment grew by about 47 percent while spending on administrative salaries rose 115 percent. At Wentworth Institute of Technology, enrollment grew by about 26 percent while spending on administrative salaries grew by about 109 percent, according to the data. Colleges say the increased spending is largely in response to students who expect them to provide more services than they did 10 years ago. Indeed, the business of educating young people is vastly different today. Many small colleges, in particular, enroll a population that needs more individual attention — academic support and career services — often because they are the first in their family to attend college. 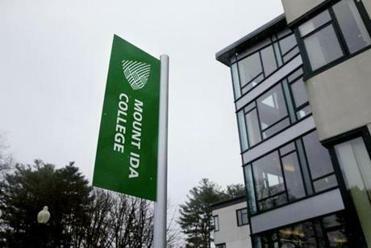 “The students in this generation and their families, they come to all of us with significantly higher expectations for services,” said David Ellis, the chief financial officer at Becker College in Worcester. Students expect the latest technology, for example, Ellis said. The school had about three technology staffers a decade ago and 10 now. At Becker, which has about 1,800 students and an annual sticker price of $53,000 per year, enrollment grew by about 32 percent over a decade when spending on administrative salaries and wages grew by about 86 percent, data show. That growth could be a good thing, according to several higher education experts. “The real question is whether students are getting an additional value which is commensurate with this type of increased administrative spending,” said Douglas Webber, an associate economics professor at Temple University who studies higher education. If schools beef up their academic advising, career services, counseling, and other programs that help students stay healthy, graduate, and get jobs, that can be a wise investment, experts said. The problem is that no matter how valuable the services, the cost of a college education is becoming prohibitively expensive. Kelchen, the Seton Hall professor, said that in some cases these new employees do jobs that used to be tacked on to professors’ responsibilities, like helping students choose which classes to take and majors to choose. Meanwhile, other types of jobs have gone away, he said. For instance, some administrative support roles have been replaced by technology. But while these new employees and services are likely adding value to students’ experience, the cost is passed on. These days many students’ parents take out supplementary loans to help cover the cost of their child’s schooling — leaving both students and parents with substantial debt. Much attention is paid these days to the high pay of college presidents and top administrators. The president of Becker, for example, made $534,000 in the most recent data available. But Kelchen said that while these costs are real, they are not the biggest driver of high tuition prices. Also, he said, the job of a president has become more difficult because the decline in the high school population has forced schools to compete more aggressively for students. And the 24-hour news cycle can amplify the smallest negative incident on campus into a public relations nightmare. Spending on wages for teaching also increased at about the same rate as administrators, the data show. Several schools said that is because they have raised the salaries of their professors to attract higher-quality candidates. A Wentworth spokesperson said the school added new undergraduate programs that required new faculty and administrative support staff. It also hired 20 technology services employees to replace a contracted service provider it used. WPI said it has also launched new programs and departments as well as nonacademic programs to support students and faculty. A Regis College spokesman said the school expanded its four schools, launched online programs, grew its graduate programs, and invested in academic and nonacademic tutoring, coaching, and mental health counseling. Providence College, a Catholic school of about 4,900 students, increased salaries to be able to recruit more competitively, according to the school’s chief financial officer, John Sweeney. In the past the school relied on unpaid friars who have been replaced with paid faculty, he said. But the college is also competing for students, which means traveling farther afield to recruit. Many colleges have also increased their spending on “enrollment management,” the complex game of calculating what it will take to attract students and how to get them to stay. Providence College also just completed a $185 million capital campaign, and Sweeney said it hired more fund-raisers. But he said his college is financially healthy and can support such growth. “We’ve spent money and it’s attracted more students who pay a much larger share,” he said. Providence College enrollment declined slightly during the 10-year period through 2016, whereas spending on administrative salaries grew by about 60 percent. Such federal data comes with caveats. Each school inputs its numbers differently and some count jobs in different categories. Inconsistencies can also arise when the employee who enters the data each year leaves and someone else takes over. For these reasons, schools caution against a close comparison of one college to another, but at a high level, trends emerge. “We’re meeting student need in very important ways, and that of course comes with cost,” said Steven Kaplan, the president of the University of New Haven, where the price for tuition plus room and board is around $55,000. Enrollment grew about 60 percent over 10 years while institutional support grew 164 percent, data show. Kaplan said the school has doubled its enrollment during his 15 years as president and dramatically increased salaries to attract better people. The school had one part-time career services employee back then and seven now, he said. “You’ve got to consider the value,” he said.